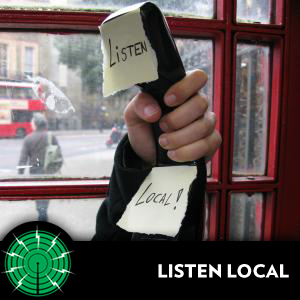 Listen Local is a radio show that is anything but conventional. Part documentary and part music show, Listen Local aims to seek out London's lesser known musicians who have a passionate commitment to music-making. Featuring a wide range of musicians from buskers to beat-boxers, choristers to kora players, Listen Local aims share their inspiration and find out what experiences have shaped their musical life. All this, whilst letting the audience know what's happening musically right on their doorstep. In this new episode of Listen Local, presenter Isabel Bedford talks to double bassist Brendan Rowley about his experience of being a busker in London. Tune in to listen to some funny anecdotes and interesting opinions about busking, along with fantastic, funky music.